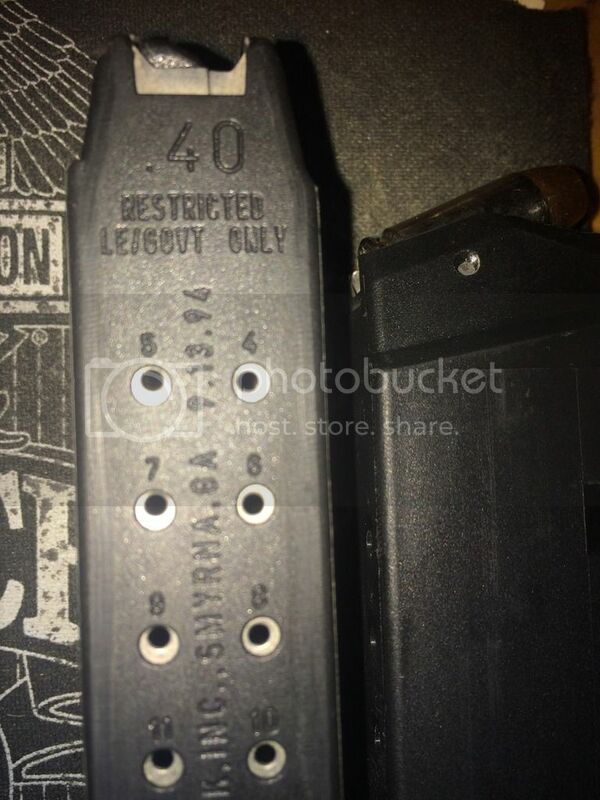 Hey Bruce those Mags are a hell of a deal for someone concerned with CC Laws in those types of Staes that's for sure!!! I just Retired from Law Enforcement and I could care less about my **Restricted / L.E / Govt. 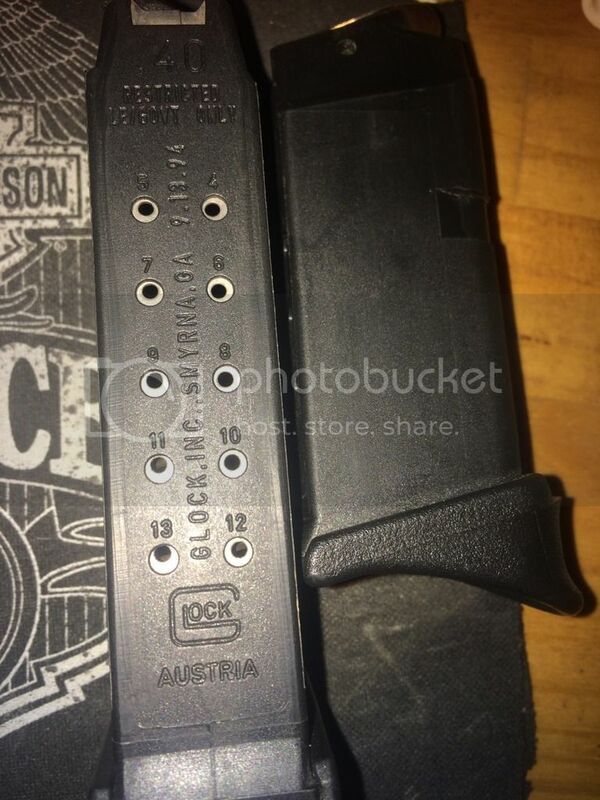 Only** High Capacity 15 round & 13 round Mags that I'll carry in my Glock 23 & 27 until the day I die, !!! I might be able to move a few of those for you and will ask around my Brother in Law's Fire Dept. cause I know those guys have to carry the 10 rounders but what's the best you'd take for 2 of them shipped and is your deal on 3 of them shipped a firm price my friend? Ttys,Robert P.S. the additional J shaped but stock grip allows you to carry an additional 2 rounds on all the Glock Mags which I use with my Compact Glock Model 27. The nice thing about your Mags is that they interchange and will work with all of the 40 Cal Model Glocks except the Gen4 which is a key selling factor!!! To be honest with you Bruce I even think those will work on the Gen 4 Models but they weren't out with the Gen4 when I attended the Glock Armory Class when I first became a Firearms Instructor on my Police Dept. but I'll look into it for you and let you know. Thanks for the info Robert! Good stuff there about the mags. I also have a few LEO mags, they are in 10mm for my G20, got them in my stint as a Gov. LEO. Best deal? Well, how about $10 each, S&H included. All of them same price. So 6 mags, $60. Good deal Robert. I thank you for the effort my friend. Anytime Bruce!!! I should see some of the guys this weekend possibly but if not then next week when I stop by the Firehouse I'll run it by them. Hey,was 6 mag's what you currently have available or was there a few more? Ttys and enjoy your weekend my friend!!! Ok great Bruce thanks again!! !